Your wedding day! Nothing can beat this special day (no matter how many times you walk down the aisle!). You need to look your best, and preparation for your big day takes on mammoth proportions. Choosing a wedding gown that complements your body shape and brings out the best in you takes quite a lot of effort. While some prefer to wear gowns handed down through generations, there are still quite a number of women who like to choose their own gown. In recent times, wedding gowns with sleeves have made quite a comeback and have added class and elegance to an occasion that is never to be forgotten. Modest, yet trendy, these gowns can give you a timeless touch and bring out the best in you. 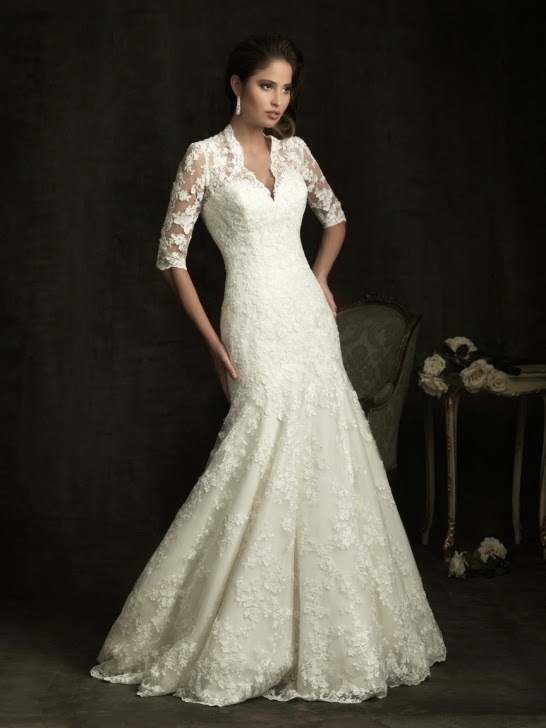 When going in for a gown with sleeves, do your homework and add a personal touch to your dress for your special day. You can choose to go for short sleeves, sleeves of elbow-length or even long sleeves. Once you have decided on the length of sleeves, you need to determine whether that particular length will be right for the wedding dress you have in mind. The length of sleeves should also be in conjunction with the shape of your arms. Add an ultra-feminine look by the right length of sleeves and add modesty to class. While some sleeves look great with similar material as that of your wedding gown, you can choose to be innovative by experimenting with different types of lace or a combination of materials. If you have an embroidered wedding gown, embellish the sleeves with this embroidery and make it look elegant. In some case, lace patterns can add to class and beauty and make your sleeves a thing of beauty and class. Some bridal shops have more experience than others in getting wedding gowns with sleeves. Find one in your area that has expertise in putting together ideas that work and those that are innovative and that can translate your ideas into the real thing. Irrespective of how good your ideas are, the right bridal shop is what makes those ideas come alive and fits them in place the right way with the best patterns. When you choose to have a wedding gown with sleeves, experiment with different options. While you might have initially wanted cap sleeves, you might find that elbow length sleeves look better, or it could be the other way around. You need not finalize on just one pattern or one length. As your bridal shop for samples of different options before you choose one that you want to go with in the end. When you go in for your fitting of your wedding gown with sleeves, get the opinions of others. After all, you want to look good on your special day and you wouldn't want your enthusiasm to cloud your judgement. Quite often, it is common for people to choose something that doesn't become them, and then feel self-conscious. Let nothing mar your wedding, and let your dress be something that makes you feel better and not worse. 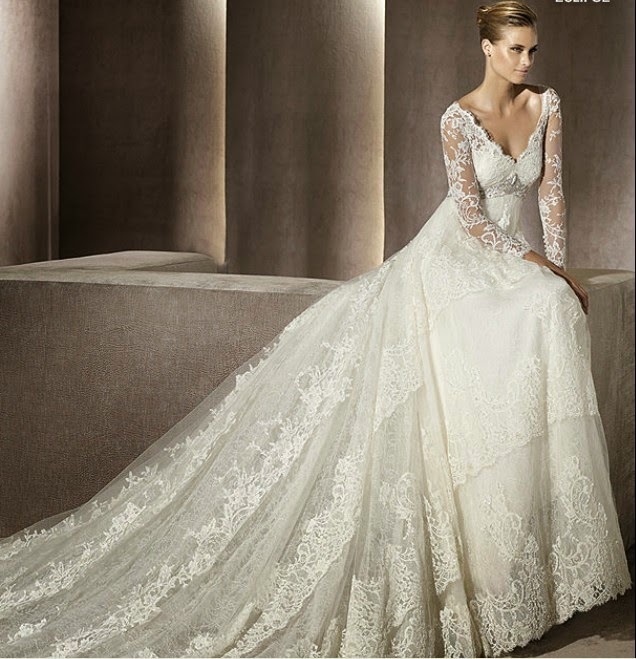 Finding the right wedding gowns with sleeves is a great way in which you can make you special day even more special. It no longer needs to be a daunting task, especially if you plan well and make a decision that will get you the best results. Add simplicity and modesty hand in hand and you the end result will be elegance even greater than you could have ever thought possible.